Worried that the residential moving company you looked at isn’t trained in moving your commercial and office furniture? Or perhaps you are worried that the commercial moving company won’t know how to safely handle your household possessions? With NextView Moving, don’t worry, be happy! We strive to be the best moving company in Austin, TX and the one people can trust. That’s why we ensure that our staff is highly trained in the procedures and techniques of both residential and commercial moving and the latest safety procedures that will protect both your belongings and your home or business. At NextView Moving, we understand that moving is a big deal and what your belongings mean to you. Give us a call today and see why we are the best choice for your move. Don’t let un-equipped movers handle your moving project; choose the Austin-based moving company with a track record of successfully providing both commercial and residential moving services. As a premier moving company in the Austin area, we strive to provide our customers with excellent service. Moving to college, into your first home, or even moving your business? We can help! Our full service moving options allow flexibility for your moving needs. Don’t let the stress of other moving companies get you down. We will get you packed, moved and unpacked in as little time as possible. 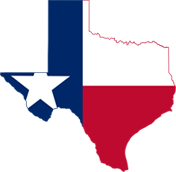 See why NextView Moving is your best choice for a moving company in Texas!